The type of fundraising you choose will determine the importance of your lot location. For example a school that is doing pre-selling need not be on a busy street to attract traffic as the purchasers are likely the families of the students and staff. Where as service clubs may prefer to set up in a high traffic area. Contact local businesses who can support the project by providing a space at no charge. You will need volunteers to help set up the lot, unload and put away the trees, as well as work the tree lot. A lot needs to be open at the very least, on weekends. However increased success will be realized if your lot is open 7 days a week for the key 3-4 week selling period. Keep in mind that is gets dark early at that time of year so good lighting is essential. Contact us to receive our Fundraisers Information kit for retailing Christmas trees for ordering, receiving and record keeping information, plus many other key sales success tips. 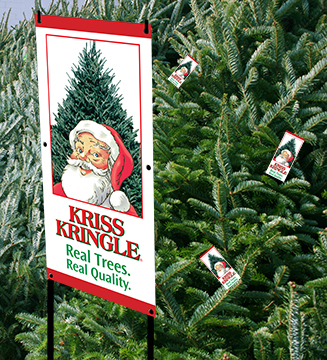 Somerville Nurseries and our KRISS KRINGLE trees have a long history with many service clubs and organizations that use the real tree as a fundraising tool. Among our groups are Scouts, Kiwanis, Optimist, Kinsmen, and Lions Clubs. We also work with churches and schools and other not-for-profit groups. We can assist with advice on the types of trees that would sell well in your area. 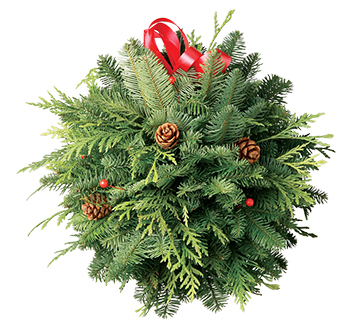 We can supply a full line of trees, wreaths, garlands, KRISS KRINGLE banners and whatever else you may need to have a successful campaign.